One year ago, I made an incredibly spontaneous decision to move from my picturesque, movie-worthy, Los Angeles beach city of Palos Verdes, California to the unknown, “borderline-Eastern European ” (as we Americans think) city of Warsaw, Poland. Life was decent in good old, sunny Los Angeles: I was your typical, very basic California girl. I woke up at 5am every morning to work out, went to work, and ended my day with a swim or yoga. A natural-born foodie and craft beer & wine lover, I checked out the latest and greatest spots all over LA on the reg. Life was decent, not much to complain about: but I was ready for an adventure and challenge. As an ignorant American, the first thing I thought when I heard Warsaw, Poland was an underdeveloped, post-Communism “city,” filled with old, worn-down buildings. 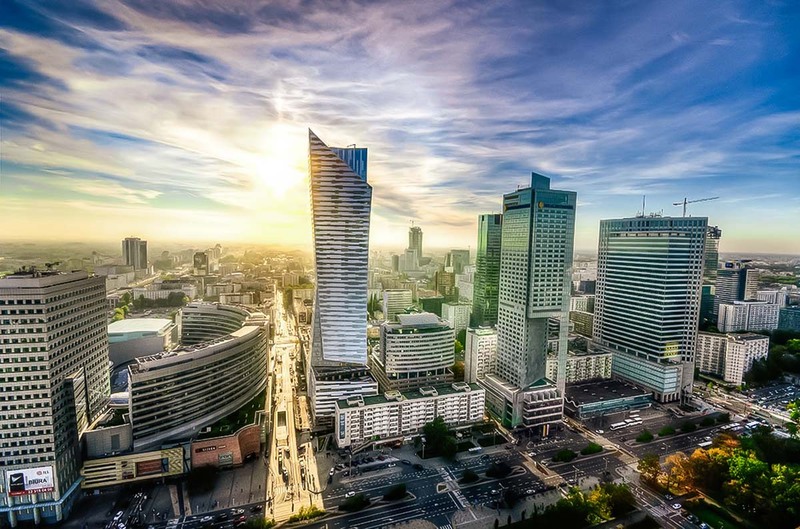 Everything about Warsaw was quite the contrary: the city has several modern high rises, the streets are pristine, and it feels like new, modern buildings are being built every few months. What’s even better? It’s incredibly affordable! The first place Adam took me upon my arrival was Old Town. It is absolutely gorgeous. During World War II, the entire city of Warsaw was completely destroyed. Consequently, the majority of the city has been rebuilt. The different styles, colors and individuality of each building gives The Old Town so much character and is absolutely breathtaking. 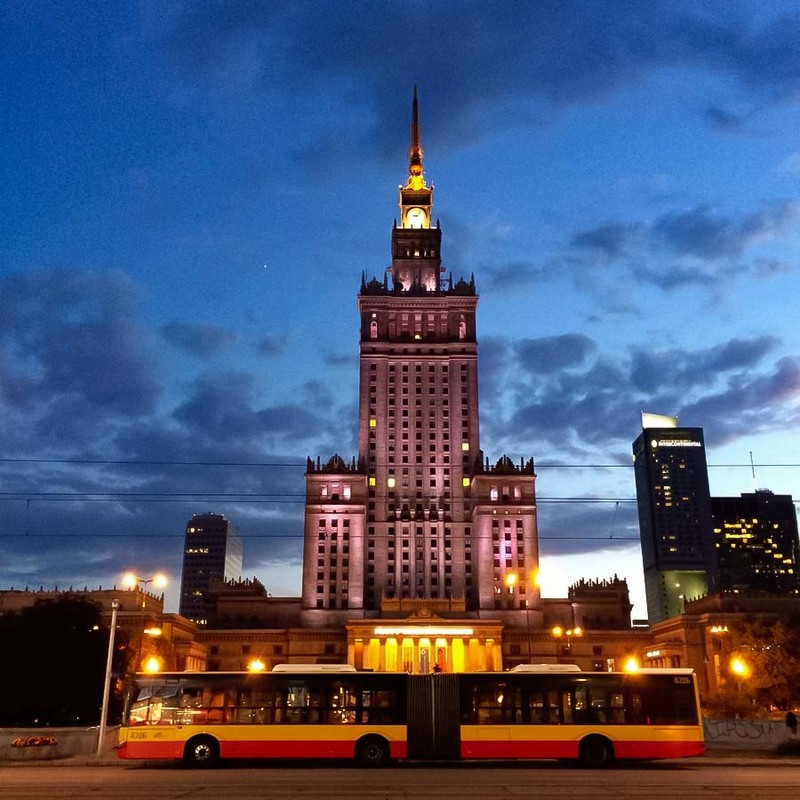 Now, coming from LA where public transportation is really a big “no-no,” the public transportation system in Warsaw was such a pleasant surprise for me. There are a myriad of options to get around town: bus, tram, metro (subway) and train. Truthfully, I have never waited longer than 7 minutes for a tram or bus to arrive to take me to the city center. It is also very easy to navigate (there are only two metro lines and all of the other transport routes are very easy to follow) and extremely cheap. A 3-month, unlimited ride transport pass will only cost you only 280PLN (about $70) and a day pass 15PLN (less than $4). Warsaw is geographically located in a very central area in Europe. You can get anywhere in Europe within 4 hours or less by air- most are about 1-3 hours. Most flights throughout Europe from Warsaw run at about $100 or less. If you utilize the budget airlines such as RyanAir and Wizz Air, you can easily snag a flight to Oslo, Norway for less than $10 round-trip or London, England for $20-30 round-trip. The bus and train systems are also economically efficient and convenient. Furthermore, the location of Warsaw allows you to visit countries that one may otherwise never visit such as the Baltics (Lithuania, Latvia, Estonia) and Balkans (Croatia, Serbia, Montenegro, Romania, etc.) very easily. As a self-proclaimed foodie, I was really weary of the food situation when coming to Warsaw. Sausages, cabbage, potatoes, and pierogis (dumplings) all day? Talk about a boring diet. I’ve been, with great pleasure, proven to be entirely incorrect. 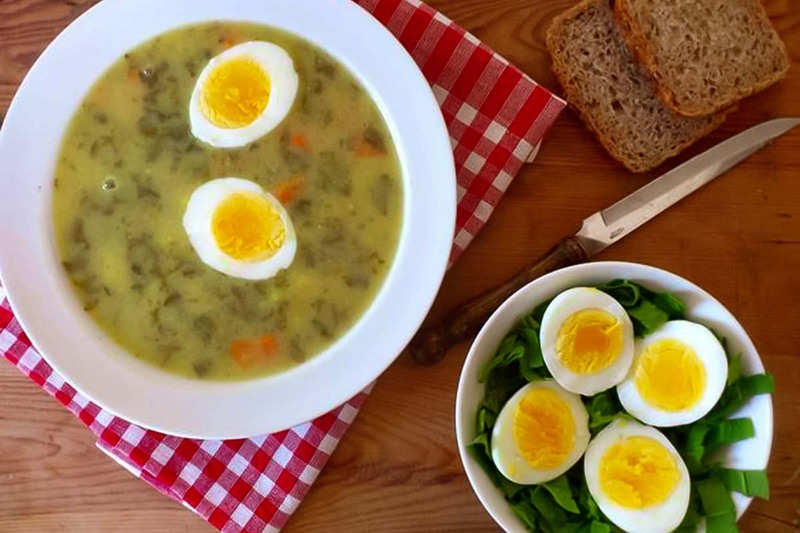 There are plenty of non-Polish cuisine restaurants all over the city. Your options range anywhere from Georgian, Italian, sushi, BBQ, burgers… ANYTHING! As a Los Angeleto, I’m very big on the “farm-to-table,” shared plates idea and one of my absolute favorite restaurants is exactly that (Aioli Cantine). But if you’re looking for traditional Polish food, there are plenty of outstanding options within every price range. To my own, personal surprise, I really enjoy Polish cuisine! As everything else in Warsaw, dining out is quite affordable. A nice, sit down meal and drinks will only cost you about 50PLN (around $12). If you visit one of the traditional Polish “milk bars,” a meal will only cost you 10-20PLN ($3-5)! Zurek at a Milk Bar in Warsaw. The nightlife is Warsaw is out of this world! On any given night, you can always find clubs full of beautiful women dancing their hearts out. If you’re more into the “just-sit-and-have-a-drink” scene, Pawilony is always poppin’ with locals and over 30 small bars to choose from, where an average beer will cost you 8-10zl ($2-3). If you’re looking to get a quick buzz, you can pop into one of the many shot bars where a single shot will cost you less than $1! 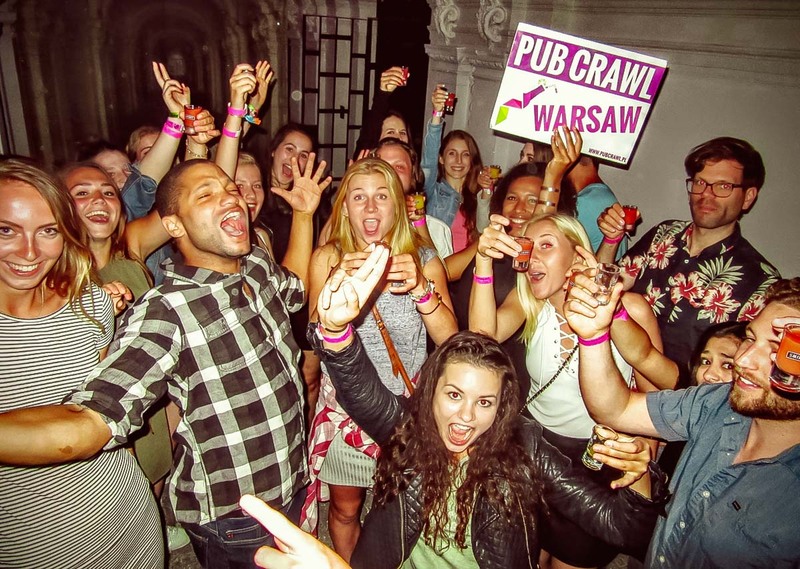 If you really wanna’ party, check out Warsaw Pub Crawl, which will take you to 3 bars and 1 club in one night for only 60zl ($15). 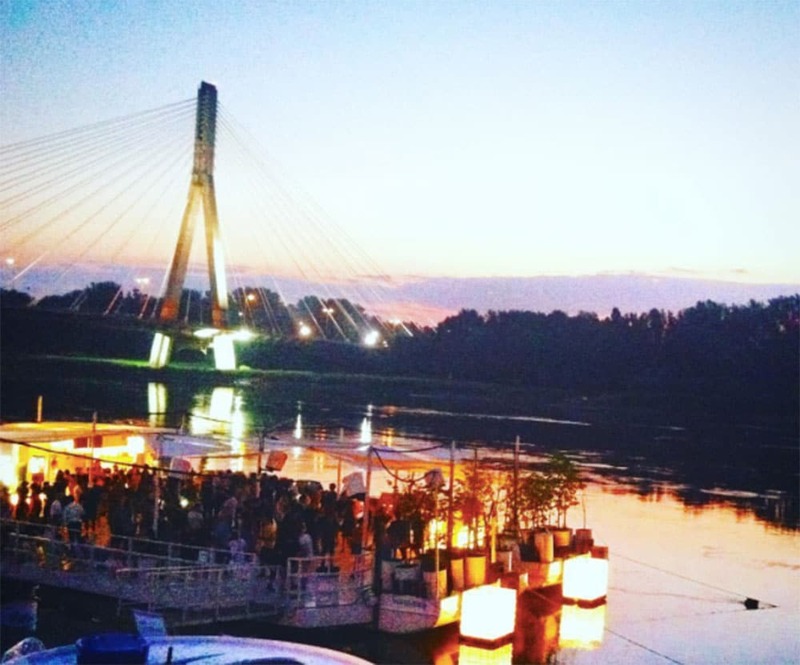 A friendly local guide will show you how awesome the Warsaw nightlife is. And if all else fails, you can buy alcohol in Warsaw, 24 hours a day, 7 days a week so you can drink your heart out until the sun rises (a standard evening for Poles, especially in the summertime)! Beer. Such a beautiful beverage. Coming from California, there are a ton of exceptional craft breweries close by. So naturally, I was a bit bummed out to move away from all that hoppy goodness. However, turns out that craft beer has recently really taken off in Warsaw so everywhere you go, there are craft beer bars. Furthermore, many of the bars carry local, Polish craft beers, which are absolutely delicious! Make sure to check out Same Krafty’s locations, which are right across from each other (Same Krafty and Same Krafty Vis-à-Vis) in Old Town and Artezan in centrum. 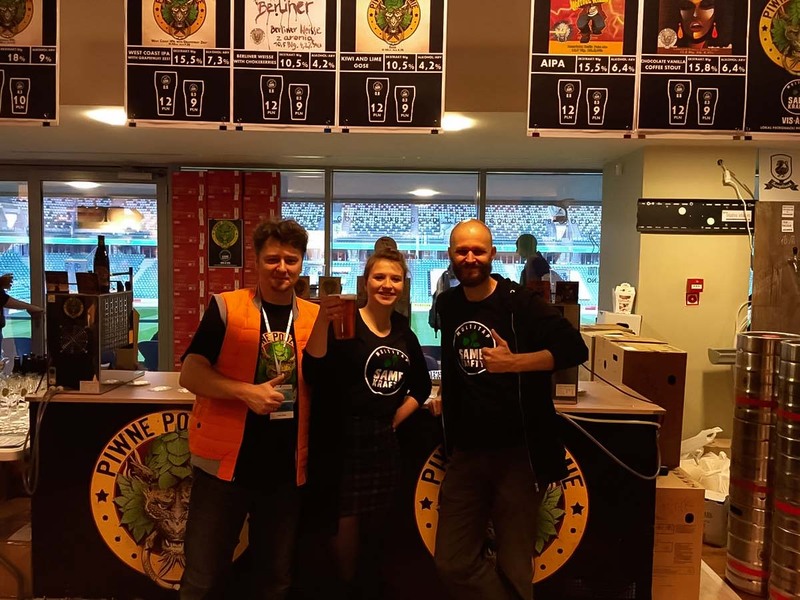 For you REAL craft beer lovers, take a trip out to Warsaw in Mid April or Mid October during the bi-annual craft beer festivals, which takes place at Legia Stadium. Spring and summer are by far, the most incredible seasons to visit Warsaw, mainly for one reason: The Wisla River. The Wisla runs through the city of Warsaw. Once the weather warms up, small bars are built along one side of the river, alongside boats and barges to party on. The opposite side is a lovely combination of sand and woods, which opens up for grilling and bonfires. You can grill and chill in the afternoon, watch the sunset over a nice fire then hop over the bridge to the other side, bar hop and dance outdoors all night long, until the sun rises. 5am sunrise over the Wisla River overlooking the river bar, Barka. Naturally, coming from LA, I love the sun and any outdoor activities. 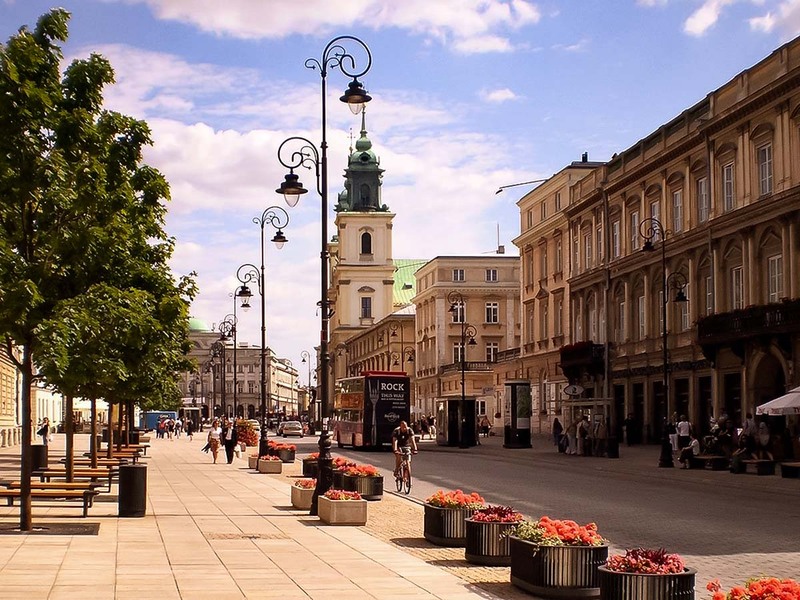 Because Warsaw is one of the greenest metropolitan cities in Europe, scattered with numerous lakes, the warmer months grant outdoor lovers endless options. You can wakeboard just outside of the city at Zegrze Lake. 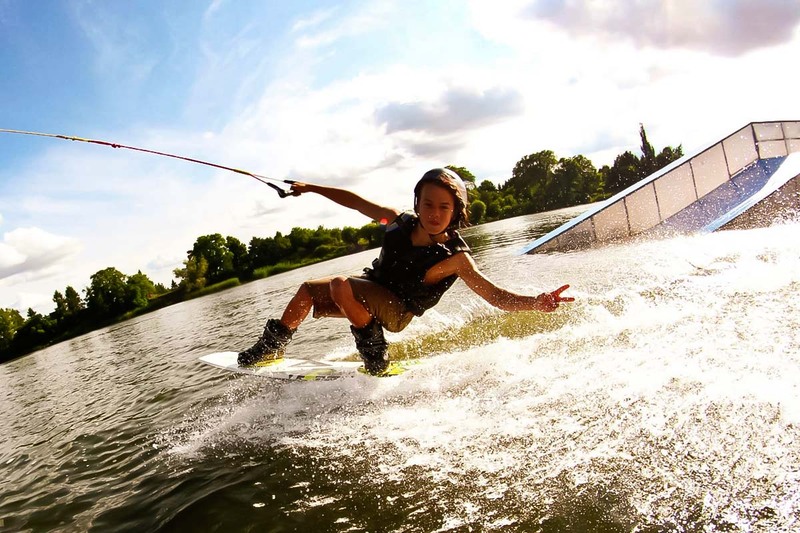 Additionally, kiteboarding is currently all the rage in Poland, which allows for various opportunities to do so. For you land-folks, the city bikes are another outdoor option, especially to get around town to see the sites. The first 20 minutes are complimentary, from there; a bike will only cost you 1zl (less than 25 cents) per hour. And for you runners, make sure to go for a run along the Wisla River, which has recently been repaved to accommodate both bikers and pedestrians. The entire route will take you in and out of the city and forest! Last but not least, the people. When I first moved to Warsaw, I had a very hard time understanding why no one was smiling back at me in the middle of the street. Yes, it’s true: in LA, we are always smiling at each other, even at strangers. I soon came to understand that it’s just the culture; nothing personal. 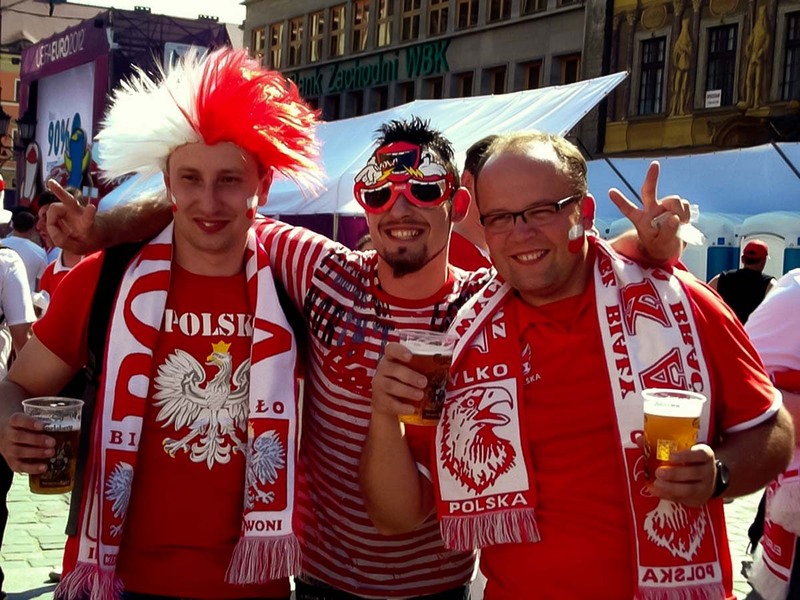 But as I started to get to know the Polish people, I quickly realized that Warsawians (and Poles in general) are incredible! They are extremely friendly, open, loving, and helpful people. Especially for you tourists, if you stay in the city center, you can get around in English with ease. I may be biased, but the Polish people are even better than the sites! Emily is a Southern California girl living in Warsaw. She is a diverse figure that, due to her cultural upbringing, can eat soup with chopsticks, translate hashtags from Japanese, and unabashedly wear calf-high socks with sandals. 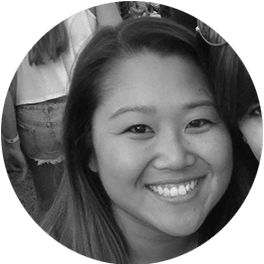 In her spare time, she loves traveling, cooking, and discovering new craft breweries and wines from all over the world.